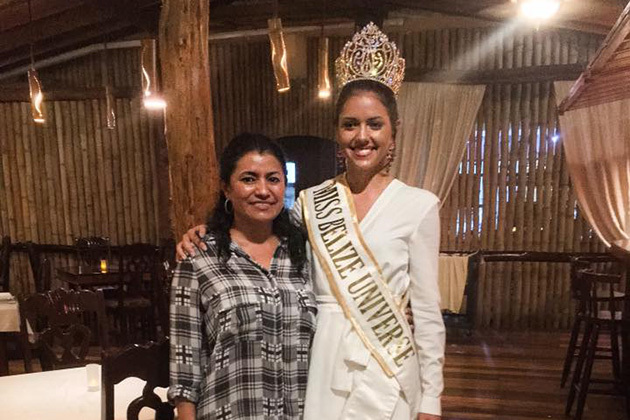 Rebecca “Bex” Rath, was crowned Ms. Belize Universe on September 10, 2016. Bex will now compete against 90 other women from all over the world as she represents “The Jewel” in the Miss Universe pageant in the Philippines on January 30, 2017 in Manila. This is a proud moment for Belize as it celebrates the decade long return of Miss Belize to the Miss Universe stage. As part of her journey, she is traveling locally and internationally to speak at special events and schools to not only bring her message of hope for our country, but to also acquire as much knowledge as possible about Belize so she may confidently and accurately present all of us to the world in Manila. This weekend San Pedro had the honor of her vist. 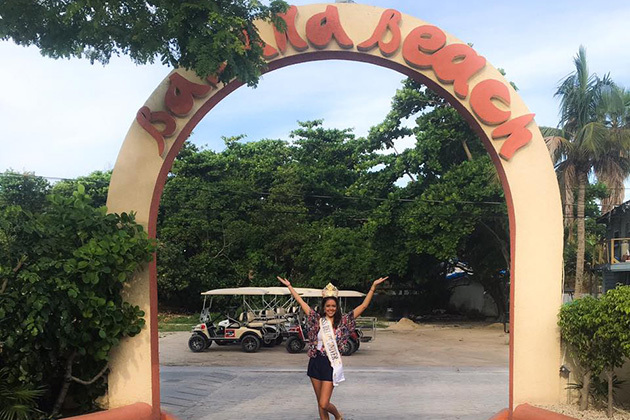 She flew into La Isla Bonita via Maya Island Air and Banana Beach was more than excited to have her as one of their guests where she mingled, practiced, had a photo shoot and a little interview. Rebecca was then trilled to have had dinner at Hidden Treasure Restaurant. She even had time to stop by the Lions Den to give a donation at a fundraiser being held there. Rebecca is working with some of the best designers in the world to assure her wardrobe is world class; is learning from models, photographers and past beauty queens with experience in the world of pageantry; and exercises daily with some of the finest trainers in Belize to put her in the best physical shape possible. 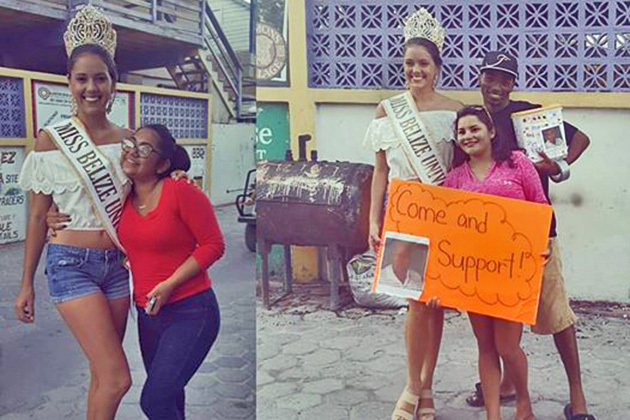 For these reasons the Miss Belize Universe Organization is asking Belizeans and friends of Belize to assist in raising the funds needed to prepare Bex and send her to the Miss Universe Pageant. Your donations will be used to fund travel expenses, acquire required wardrobe, continue pageant and physical training, and purchase necessary gift items to carry to the Miss Universe Pageant for other contestants and organizers. Let us all do our part by contributing to and supporting Rebecca's quest to show the world the beauty of our Belize.